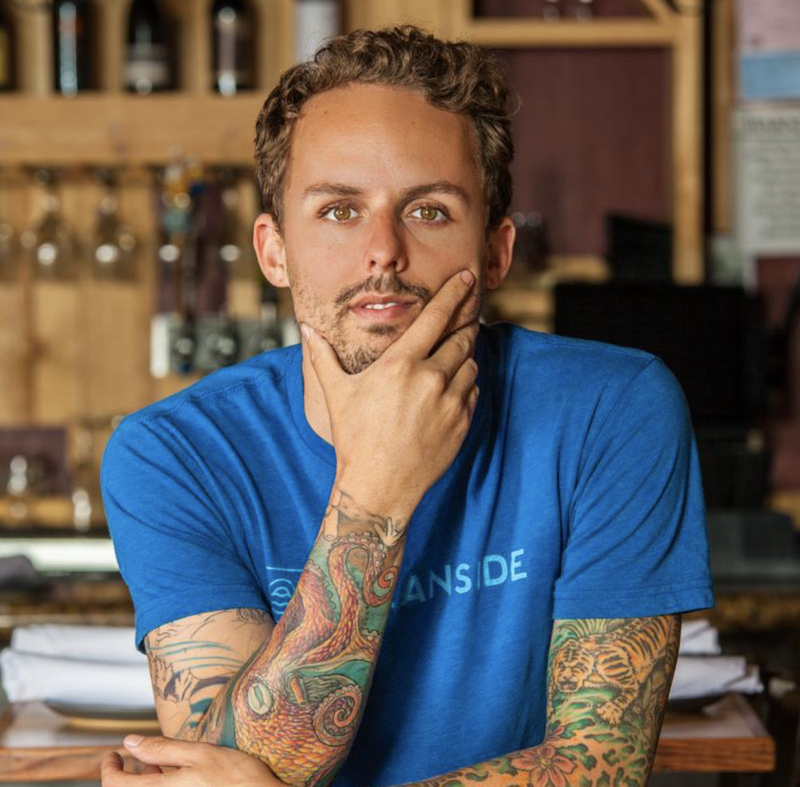 Chef William Eick, arguably one of the most gifted young chefs in San Diego, is transitioning from chef-partner of 608 in Oceanside to executive chef of neighboring Mission Avenue Bar and Grill, where he’ll integrate his conscious approach to cuisine into the cocktail-forward restaurant and bar, refining its menu, and integrating his signature dishes. 608’s last day of service will be February 28. Chef William Eick has announced his transition from helming the growing 608 local eatery, steeped in responsible sourcing and from-scratch cooking, to assuming the position of executive chef at Oceanside’s Mission Avenue Bar and Grill at the beginning of March 2018. Leading up to 608’s last day of service, Chef Eick and his team will host a series of specials during the last week of service. "William’s talent is a gift to Oceanside," said Cameron Braselton, owner of 3 ½ year-old Mission Avenue Bar and Grill, only a block away from 608. "We’ve long asked him to help refine our menu and provide additional training to our staff. It’s with true excitement that he joins our team." Citing differences of opinion with his current landlord, in addition to a lingering opportunity to flex his creative muscle at a neighboring establishment with a full liquor license, the latter of which had yet to come to fruition for 608, Eick’s vision, fully supported by Braselton, for Mission Avenue Bar and Grill is to enhance the culinary and, along side bar manager Guy Marino, cocktail programs. Given Braselton’s chef left several months ago, timing was serendipitous. "This made it a lot easier for everyone,” said Eick. “It’s Oceanside. We collaborate. We find win-wins." Appeasing honored clientele from both establishments, Eick will retain existing favorites from Mission Avenue Bar and Grill’s menu, while integrating 608 signature dishes, including the burger, featuring 30 to 45 day, in-house dry-aged beef and 15 to 30 day fermented chile aioli, as well as Panang Short Rib and Fried Chicken, which will be served, instead, as Chicken Wings. He’ll continue using ingredients from preferred purveyors like good friend Luke Girling of Cyclops Farms, appeasing honored clientele from both establishments. Though the name of the restaurant implies a heavy beer program, Mission Avenue Bar and Grill is noted, instead, for its craft cocktails. For more information about 608, visit 608oceanside.com. For further details about Mission Avenue Bar and Grill, located at 711 Mission Avenue in Oceanside, visit missionavebarandgrill.com.